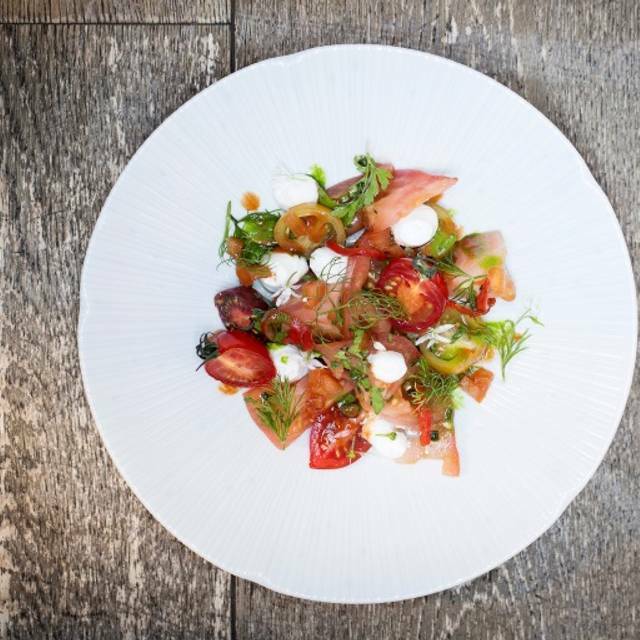 Set up by three restaurateurs with experience in some of London's best restaurants, PICTURE Marylebone is a stylish neighbourhood venue well-known for its genuinely warm service and exceptional food. 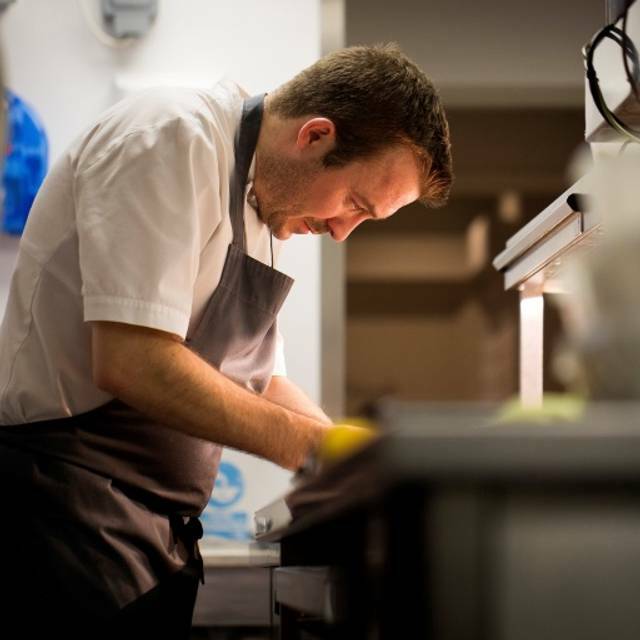 Excellent value set lunch menus and tasting menus are available alongside the a la carte from Monday - Saturday. Fabulous lunch. The fixed menu was amazing. It was an excellent value. Have now been to Picture twice and had the tasting menu and find it a thoroughly pleasant experience all round. The food is fresh, refined, well balanced, and well cooked for the price point. The fixtures and fittings are very basic but in a good way. Likewise the service is simple but not fussy so all in all it's a very relaxing and friendly experience. I've recommended the place to a few friends and all like it. The 4's would have been 4.5s if it was allowed. Service was slow but the food was beautifully presented and tasted delicious. We'd gladly return. Delicious reasonably priced tasting menu. Flawless service. Nice simple decor and low noise level Perfect for a special dinner with friends. 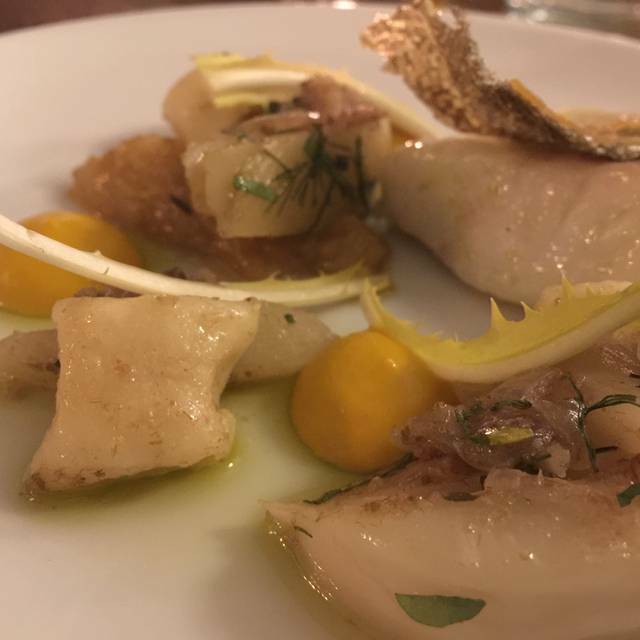 We chose the tasting menus both veg and normal and we both enjoyed the range and mix of food flavours. I felt that the wine pairing should have been explained to us with a breakdown stressing only one glass of red being offered. After explaining this to waitress we got the silent treatment good food timely delivered but never asked further if we were enjoying it. 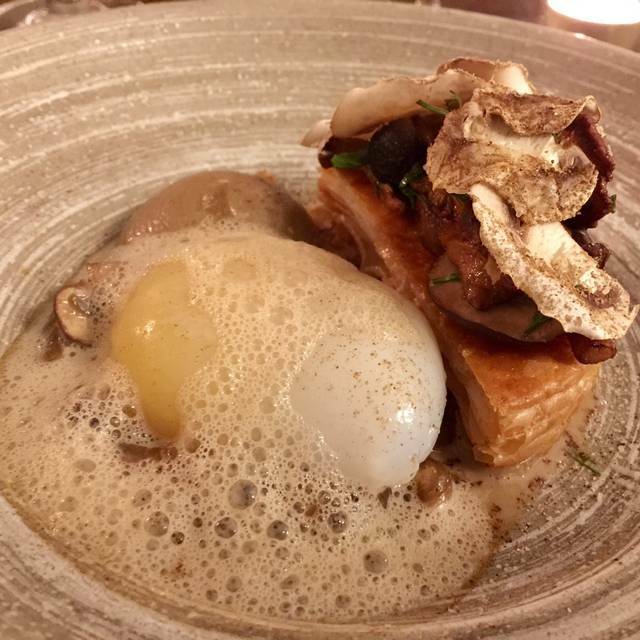 The tasting menu is excellent value for money, - have eaten it on a number of occasions. Some of my friends requested various changes to the food, but they were easily incorporated without any issues. The waitress had a good sense of humour, - overall, this is one of the standard go-to places for our business dinners. Love the starters. Lovely, warm welcome from the front-of-house. Fantastic Virgin Mary, olive bites and taster soup of day. Fresh seasonal ingredient. 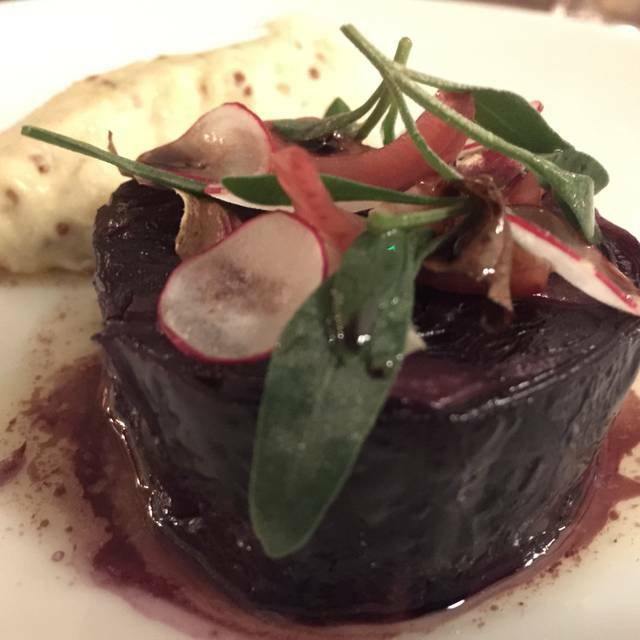 Fantastic combination of produce and textures that made every mouthful happy. Thank you for a wonderful experience Picture Marylebone. Had a great catch up with an old friend. Lovely food great ambience and we were very nicely accommodated despite being the last to leave! Had a lovely meal with my Mom. I liked the small plates - good for people who normally can’t finish the entire meal! Great food, good service, and perfect ambiance. Picture isn't the cheapest option on the Marylebone block, but it's well worth a visit. 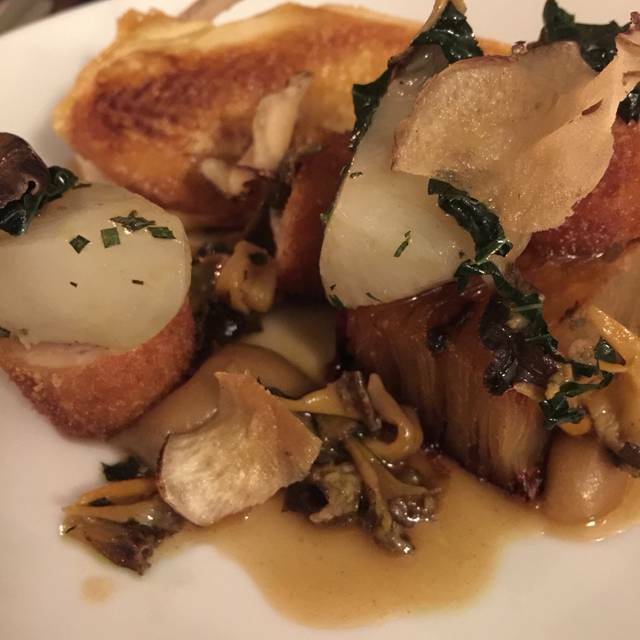 A veritable find in Marylebone serving delicious food with an excellent menu. Will definitely be going again. Excellent food and service. Our second visit and the food was just as delicious as the first. Decor is fairly plain, but that is not a bad thing. Not as noisy as many restaurants seem to be these days and the service was efficient and friendly. Good value for money all round! Had a lovely lunch at Picture last Saturday. Food was delicious, the menu was though small offered a a good variety of dishes, the wine list was interesting too. Staff were very welcoming. Will definitely return again soon. Special lunch menu good value for money and very flexible. Won't ever get bored of eating at either of the Picture Restaurants. Food, Wine, Service, Atmosphere always on point! Inventive yet simple elegant food. Every mouthful a joy. Nice tight wine list with great options at either end. Lunchtime deal on Open Table is an absolute steal, but worth a visit at anytime as always good value. Look forward to the next time! An enjoyable and intriguing experience. I wasn't terrible enamoured by the sweetbreads possible this wasn't helped by the waiters initial description, and won't be rushing back mainly because I don't feel the menu choices are wide enough to warrant another visit anytime soon but I would recommend others to try it. We had an excellent meal from the warm welcome on arrival on a cold and icy day and throughout Rutherford varied and delicious courses. 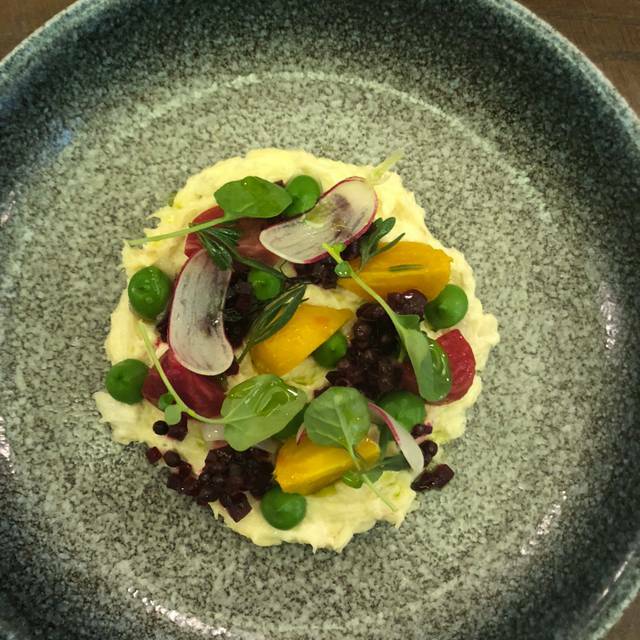 To be recommended is the Brandade which looks wonderful and tastes as good as it looks - but it is only one amongst a plethora or inventive and mouthwatering dishes created in this talent filled kitchen. Booked based on reviews and availability. Didn’t disappoint. We were celebrating our a Anniversary and thoroughly enjoyed the 6 course tasting menu on a Tuesday lunchtime. Will absolutely go back. Picture is consistently lovely - delicious food and good service. Expensive but well worth it. We were welcomed very warmly, the amusebouche was unexptected and tasty, and the menu very well conceived. Interesting food served with charm. Clever wine list, not too long and out of the way wines, but trustworthy! I love Picture for their set tasting menu. Its 6 courses and just enough options to keep everyone happy and GREAT value. Its good for out of town guests that would like an insight into British food and also for fun business options. Beautifully presented food lovely setting and feel. Great for business lunch and equally good for friends and family. Everything is excellent. Definitely would recommend to friends. One for foodies, a really fab restaurant and lovely service..
Portions were very small and not big on flavour. Ravioli was the most flavourful plate at £11 for 3 bite size bits. £15 for 28 year old beef was good but I can get 5x more steak for less money at Flat Iron in Soho or Orange Elephant in Chelsea. So it cannot be that the neighbourhood of Marylebone can charge more than Chelsea. £13 for the cod was a waste of money. £11 for the cured salmon was less than two pinky finger length and width of a bite. Complete waste of money. Too expensive for too little quantity and trying to look pretty food. Do NOT order the side dishes because they increased our lunch time bill by 25%. interesting new flavour combinations based on traditional ingredients that mostly worked very well, served with professional elegance, and without going over the top or being too pretentious. The desserts were the only real disappointment, being rather dull. The food was presented in a Kaiseki-( multi-course Japanese) like manner. The waiter didn't know a lot about the food. Absolutely stunning food and brilliant service. We had a lunch deal with Open Table which was great value for money. Highly recommend. The set menu is an absolute must! Inventive menu and good value. Ambience better in the front of the restaurant. Food is good and good value but the service needs tightening to improve the overall experience. My first visit to Picture, Marylebone, but not the last, Very impressed with the food and service. The Opentable offer of 3 courses for £20 was good value. With a bottle of wine, the bill for 2 was £70.00. Highly recommended.